Apple plaid shirt Campos2 chequered. This attractive shirt gives men the chance to show off their cheeky side and get a little fruity. 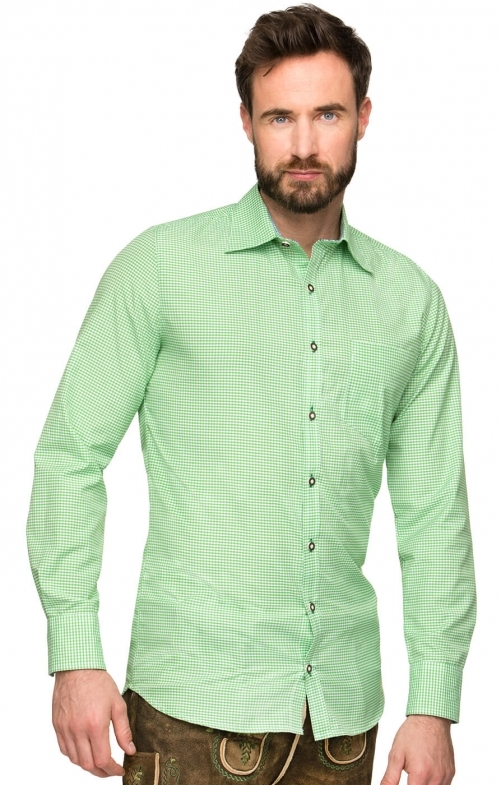 People who choose to wear this checkered apple green and white shirt are sure to have a lot of fun, no matter what the occasion may be. The cuffs and collar offer a touch of sophistication, as they are decorated with small vichy-style diamonds. The horn-look buttons have been worked to close the pocket of this this loose fitting shirt, while the tabs on the inner sides of the long sleeves allow them to be rolled up.